Ngā Oho, our centre, our heart was opened in November 1989. Governor General Sir Paul Reeves unveiled the tohu moko and more than 400 people welcomed New Zealand’s newest Māori education experience. After more than three years of thinking, talking and planning, Ngā Puna o Waiōrea, a Te Reo Māori immersion kura, was established in 1995. At the time, there were around 600 students at Western Springs College and 10% of them were Māori. Many of that 10% left school at the earliest opportunity, a problem the Māori community was determined to overcome. They believed that to raise their children within a Māori setting would flow on to greater educational achievements. And they were right. Western Springs College and Ngā Puna o Waiōrea operate collaboratively from one location. Chris Selwyn is principal of Ngā Puna o Waiōrea, a Te Reo Māori immersion kura; Ivan Davis is principal of Western Springs College, a state co-educational, co-governance secondary school. Students flow between the schools, according to their year level and course choices. Ngā Puna o Waiōrea exists within Rehu Marae, named for the ancient pā that once stood on a ridge in the Western Springs area. Central to the marae is the wharenui Ngā Oho, which features whakairo created by a team of carvers led by tohungā, Murray Pihema. The kowhaiwhai and tukutuku panels within the wharenui were crafted by students of the Māori ACCESS programme. Because the marae was designed to serve the entire school community, two walls feature international taongā gifted by communities from Niue, Tonga, Samoa and Indonesia. 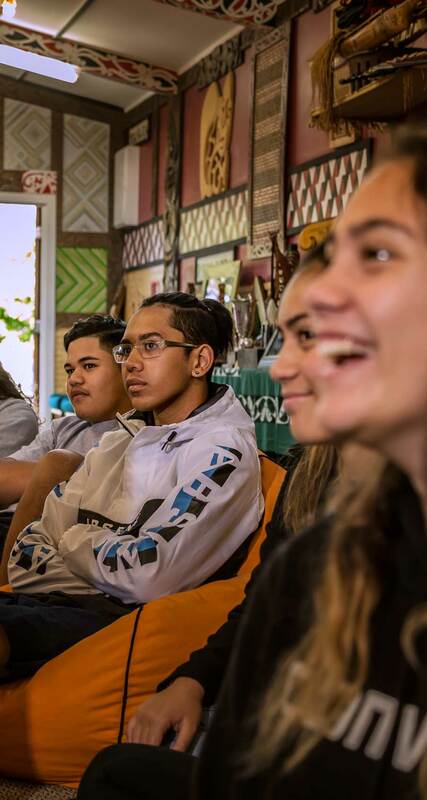 For every student attending Ngā Puna o Waiōrea, the goal is the same: To achieve their personal best academically and holistically, and to be successful in both worlds – Te Ao Māori and Te Ao Pākeha. We aim to produce good people who are capable of navigating themselves through life confidently. This is made possible by a partnership between the student, school and home. Ours is not a ‘drop your kid at the gate’ kind of learning institution; we expect and welcome whānau involvement. Parents and other family members are actively involved with everything we do, especially when it comes to sport and kapa haka. We aim for excellence in all aspects of school life. Students may graduate from Ngā Puna o Waiōrea, but in their hearts they’re always with us. Even while they’re forging careers and making a difference in the outside world, they remain part of the school. In fact, their input is essential for ensuring the kura continues to deliver for the current generation. Our alumni help to keep us to stay relevant and accountable, and they provide exceptional role models for current students. Whānau alike, too also play a vital part in our success – without their input and hard work, especially in our earlier days, Ngā Puna o Waiōrea would definitely not be where we are today. Our teachers believe that good teachers can teach anywhere. They’ll transmit learning effectively in a kitchen, a hallway or in the middle of a playing field. However the rebuild of Western Springs College, which includes a reinvention of Ngā Puna o Waiōrea, will enhance the kura’s ability to help students achieve their personal best. Over the next few years, the entire campus will be re-configured to support flexible, innovative learning. The new kura will also have a greater connection with the rest of Western Springs College, making it easier for students and teaching staff to collaborate with the main school. Because a more cohesive campus means less time walking between venues, there will be more time for sharing of ideas, practices and good pedagogy. Ko to manu e kai i te mātauranga, nōna te Ao. The bird that partakes of knowledge owns the world.